Additionally, BMW announced an extension of its perhaps more interesting ChargeForward program, something BMW says is “a key component to the battery storage system electrified by BMW i”. BMW is conducting a pilot study into the relationship between home electric vehicle (EV) charging and the energy grid, together with Pacific Gas and Electric Company (PG&E), whose service area covers Northern and Central California. Working with a group of nearly 100 BMW i3 drivers in the San Francisco Bay Area, BMW i ChargeForward is demonstrating how intelligent management of EV charging can contribute to optimizing electric power grid efficiency, and thus is expected to reduce total cost of electric vehicle ownership. The study has two parts: a managed charge pilot program involving BMW i3 owners and a Battery 2nd Life energy storage system. In the managed charge pilot program, these BMW i3 owners allow BMW to delay or interrupt the charging of their vehicles by up to an hour, based on requests received from PG&E when grid loads are at their peak. The program also includes a “second life” for used MINI E batteries, by repurposing these batteries into a stationary solar-powered electric storage system located at the BMW Group Technology Office in Mountain View, California. While these are a lot of great steps, we’re not quite at the holy grail of using your active car battery to power your home/grid as a backup. BMW is simply allowing PG&E to timeshift charging within an hour to cut peak demand. However if you combine the 2 programs, we are starting to see a future of energy usage working hand in hand with EVs to save money and go easier on the grid. The BMW i3 battery system – from the power source of the Ultimate Driving Machine – is integrated into an intelligent storage solution for residential and commercial applications. Montreal, Quebec … BMW i, a leader in innovative electromobility since 2011, announced a stationary energy storage system solution integrating its BMW i3 vehicle battery at the Electric Vehicle Symposium & Exhibition 29, making it the first automotive manufacturer to utilize a complete automotive high-voltage battery for energy storage. The battery storage system electrified by BMW i, enables customers to more fully realize their commitment to sustainability – and to take the next step towards energy independence. With this system, which integrates seamlessly with charging stations and solar panels, customers can offset peak energy costs and also enjoy the added security of an available backup energy supply during power outages. The system utilizes BMW i3 high-voltage batteries and can be expanded to incorporate 2nd Life Batteries as they become available in the market. This strategy will extend the useful life of the battery for the owner, even beyond in-vehicle use. “The remarkable advantage for BMW customers in using BMW i3 batteries as a plug and play storage application is the ability to tap into an alternative resource for residential and commercial backup power, thus using renewable energy much more efficiently, and enabling additional revenues from the energy market,” said Cliff Fietzek, Manager Connected eMobility at BMW of North America. Premium electromobility converging with sustainable resources to optimize energy efficiency at home. The concept announced today at EVS29 is the first market-ready home storage system using a repurposed (i.e. 2nd Life) automotive BMW i3 high-voltage battery integrated by BECK Automation (Wuerzburg, Germany). The battery storage system electrified by BMW i can be equipped with new or 2nd Life Batteries. This holistic approach underlines the sustainability strategy that has characterized BMW i since its inception. This system can enable energy produced from solar panels to be used more efficiently. It can be charged during the day, taking advantage of the energy that may otherwise be underutilized while customers are typically away, to support the overall energy efficiency of their home. Because typical daily household energy usage in the US is between 15-30 kWh1, the battery storage system electrified by BMW i with its 22 kWh or 33kWh capacity is ideally suited to operate a variety of appliances and entertainment devices for up to 24 hours on its own. The battery storage system electrified by BMW i and Battery 2nd Life. The battery storage system electrified by BMW i can incorporate used BMW i3 batteries, expanding the holistic sustainability of BMW i and supporting the next phase of future energy efficiency and independence. Because the electric draw is much less at home when compared to automotive usage, this storage system is an ideal application for a retired BMW i3 battery and ensures that the repurposed battery will offer many additional years of service, affirming the BMW i commitment to sustainability. The “plug and play” nature of the BMW i3 battery application in this system is a key element in its design. Following in-vehicle usage, the BMW i3 battery retains most of its original capacity, thus continuing to offer years of emissions free power storage and expanding the sustainability concept beyond the individual vehicle life. Intelligent interface that maximizes energy utilization. The battery storage system electrified by BMW i ensures that the energy is utilized in the most efficient way possible. Utilizing real-time energy readings, the system can measure the available energy supply and demand, making the necessary calculations to determine the optimal time to charge or discharge the system. This approach minimizes energy waste, effectively reducing energy costs on a day-to-day basis. The battery storage system also includes a voltage converter and power electronics to manage the energy flow between renewable energy sources, the house interface, and the Li-Ion high-voltage battery from the BMW i3. 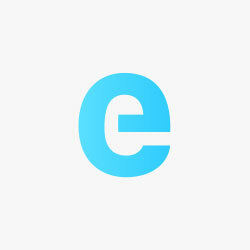 The system has been designed to be perfectly integrated into the house energy supply chain. 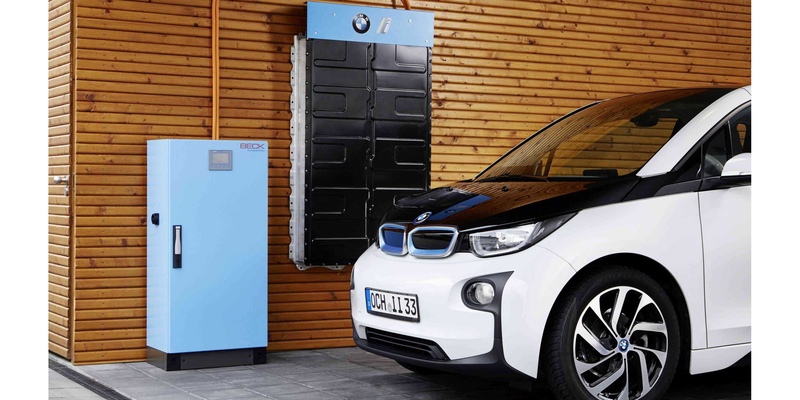 The battery storage system electrified by BMW i is ideally sized so it can be conveniently placed in the basement or the garage of a detached house, where the stored energy can either be used for electrically-operated devices in the home or for charging the battery of an electric car. Individual battery storage systems are key to enabling privately generated renewable power to be used directly on-site instead of being fed into the local power grid. By combining an eco-friendly power supplier with the convenience of the battery storage system electrified by BMW i at home or at a small business, our customers will be able to store renewable electricity and then use it at an ideal time to augment energy from the grid during periods of higher pricing, effectively reducing energy bills. The battery storage system electrified by BMW i – years of study and research. BMW i, a world leader in sustainability, has dedicated years of extensive practical studies and research together with Universities, National Laboratories, Utilities and Industry partners to maximize residential energy efficiency. The high-voltage batteries developed for the BMW i3 have already demonstrated their high potential for secondary use as a stationary power storage in numerous research projects. Long before the launch of the BMW i3, it was clear that the batteries would have an exceptionally long life and could serve a useful purpose in enabling electric driving both within and outside of the vehicle. In 2011, batteries which were previously used in the MINI E test fleet were successfully implemented in a stationary project. Together with the Federal Ministry of transport in Berlin, the project demonstrated that an energy positive home environment with a battery system is possible. In 2013, BMW and the University of San Diego installed a micro grid application with Battery 2nd Life MINI E batteries. In 2014, BMW integrated high-voltage batteries into a stationary storage system in Hamburg. This project serves the energy supplier Vattenfall as a power buffer for fast charging stations, aiding by storing solar power and helping to stabilize the electric grid. In 2015, NextEra, the leading American energy producer and distributor of clean energy, signed the largest contract in automotive history for the delivery of 20 MWh of Battery 2nd Life automotive batteries. These batteries were sourced from the BMW ActiveE test fleet in the US and from early BMW i3 vehicles. NextEra will operate them in various industrial sized stationary electricity storage systems. Another step forward for BMW i 360° Electric and the sustainability lifestyle. The battery storage system adds to BMW i 360° Electric, an array of lifestyle offerings designed to optimize convenience and sustainability of the e-mobility lifestyle for BMW i and iPerformance customers. BMW i 360º Electric encompasses products for home and public charging, assistance services, and flexible mobility. Moreover, BMW has partnered with experts in the field of electric mobility to provide its customers the best solutions available on the market to optimize their overall EV driving experience. Therefore, not only does 360º Electric allow for a convenient and easy transition to electric driving, but it will also provide customers access to an energy-conscious, sustainable lifestyle. “With a battery storage system electrified by BMW i our customers can take the next step towards a sustainable energy lifestyle. Coupled with the home charging and solar energy programs, the system enables BMW drivers to embrace holistic sustainability beyond e-mobility,” said Rob Healey, Manager of EV Infrastructure for BMW North America. ChargeForward – a key component to the battery storage system electrified by BMW i.